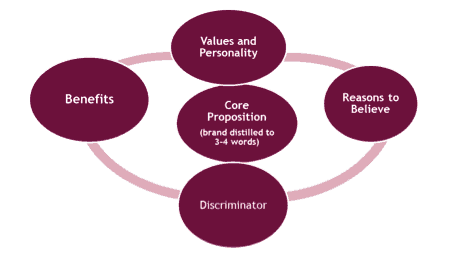 If any of these scenarios sound like you, then you’ll want to take a look at what the Brand Engagement Programme can offer your business. 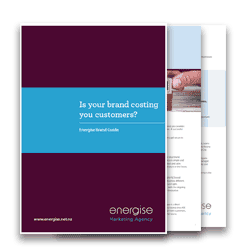 Is your brand looking a little stale? Does your brand identity needs a refresh? Is your brand not credible or relevant to new or existing target markets? Has your market has been inundated with competitors and you need to carve out your position in the market? Have you recently undertaken a merger or morphed in a different direction? How We Help Build Your Brand. This programme begins with a series of in-depth Customer Insights Research. Interviews are conducted with customers, competitors, suppliers and internal teams (including staff and leaders). The resulting information is analysed and synthesised with a special focus on brand perceptions and the brand ‘health and wealth’ of your company. These insights allow us to benchmark you against your competitors and provide the springboard for the second stage – our Brand Strategy work. Brand Identity Kit – we get you to visually stand out for the right reasons, evolving your visual look and marketing communications to keep you fresh and distinctive. The kit includes brand logos variations, brand colours and brand usage guidelines. Tone of Voice Guidelines –these guidelines will become your communication bible. We’ll sharpen your tone of voice so you can better communicate your personality and key messages to your people and clients.